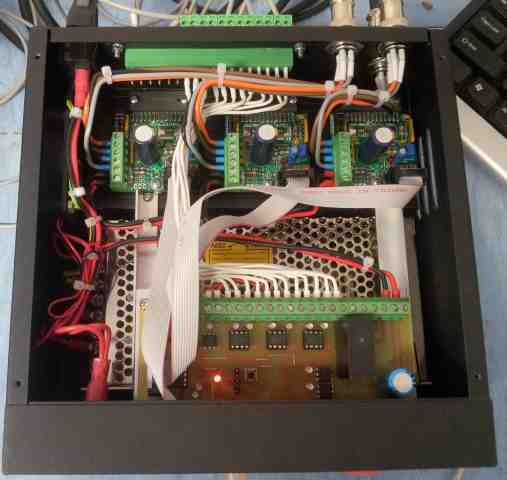 The MassMind THB6064AH driver by Luc Degrand is a 4 Amp, 50 Volt, 200 WATT, bipolar (4, 6 or 8 wire) Stepper Motor Driver in kit form for lower cost and easy repair. 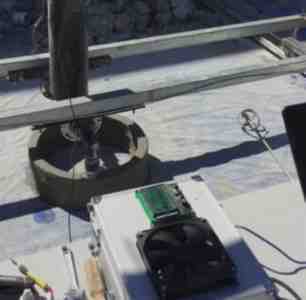 "His big printer needed big NEMA34 stepper motors, far beyond the current capacity of the stock RAMPS stepper drivers. [Andrey] got in touch with [James] at MassMind who helped him with an open source THB6064AH based driver. [James] even came up with an adaptor cable and PCB which makes the new drivers a drop-in replacement." 'For a big printer, I need special drivers that can handle the heavy weight of the machine as well as be compatible with the software/firmware. The best fit I found was from James Newton's Mass Mind. These drivers ended up being the only ones to work properly with Marlin Firmware (I sampled other drivers, which failed), and were powerful enough to move such a huge printer.' Rudenko added. Andrey's machine was last seen in the P.I. printing 2-bedroom villas for a resort hotel there. The extruder has been upgraded (very wiz-bang now!) and the machine is bigger now, but still running fast and smooth. Alan Redd says: "I received the kits, built them, and installed them on my lathe today. I was able to follow the instructions and get both drivers put together right on the first try. I have been using a G540, and your drivers seem to have as much power and only very slightly more noise from the steppers. I am still fiddling with the power level and the decay settings, but am very happy with the performance at the current setup." 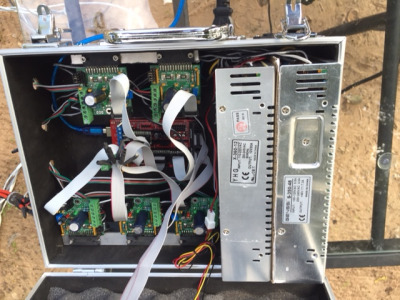 TroyO got his Grizzly G0704 (aka BF20) running at 180 IPM with three of our THB6064AH drivers. The mechanical CNC conversion was done with ArizonaVideo's kit. The X and Y axis are Automation Technology KL23H276-30-8A 282 oz-in NEMA 23 motors and the Z axis is a KL23H2100-50-4B 570 oz-in. Zac Soden did a lovely job on the 'tron box for his CNC Machine! 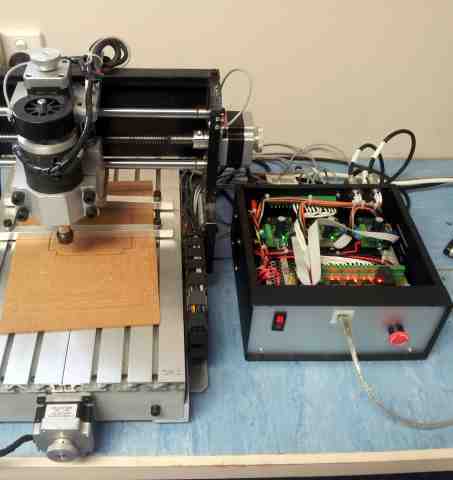 He is using his Planet CNC USB motion controller with 3 of our THB6064AH drivers. Troy converted an old PC into a CNC driver complete with THB6064AH drivers, 4Axis breakout board, Power Supply, and connections all neatly re-routed inside the case with the motherboard and hard drive. 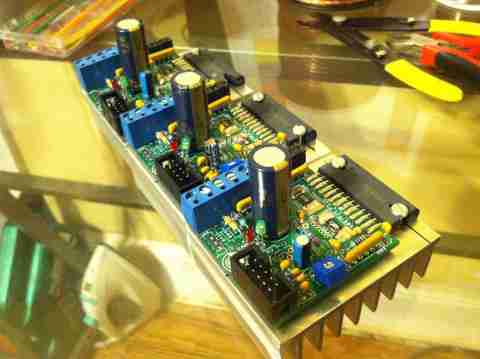 Adam Baskerville^ did a lovely job mounting his three drivers. Notice the thermal paste. 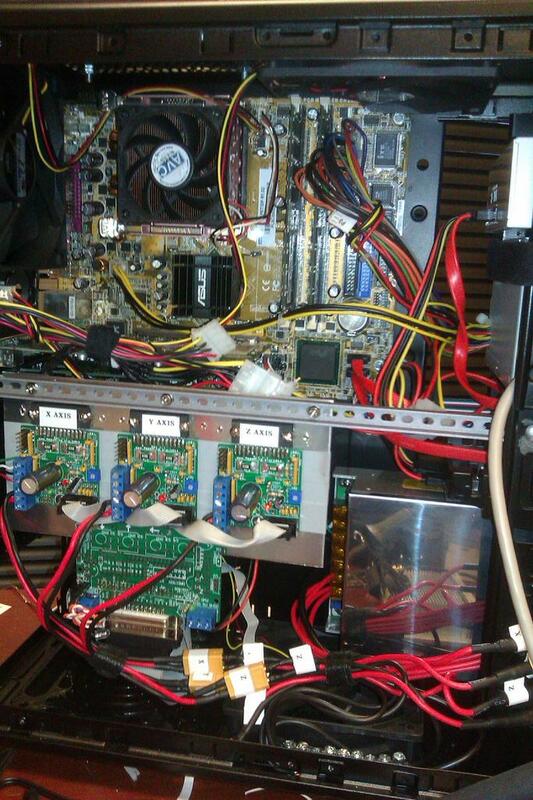 Those are old XBOX heatsinks. And here is a comparison with the Xylotec driver. The THB6064AH provides a higher max speed with smoother stepping with the same power supply / motors / load. https://www.youtube.com/playlist?list=PLI15PZTw-OdXOrwd3MHQ9YV4WfJmGeWNK&disable_polymer=true Video Playlist of our customers machines.